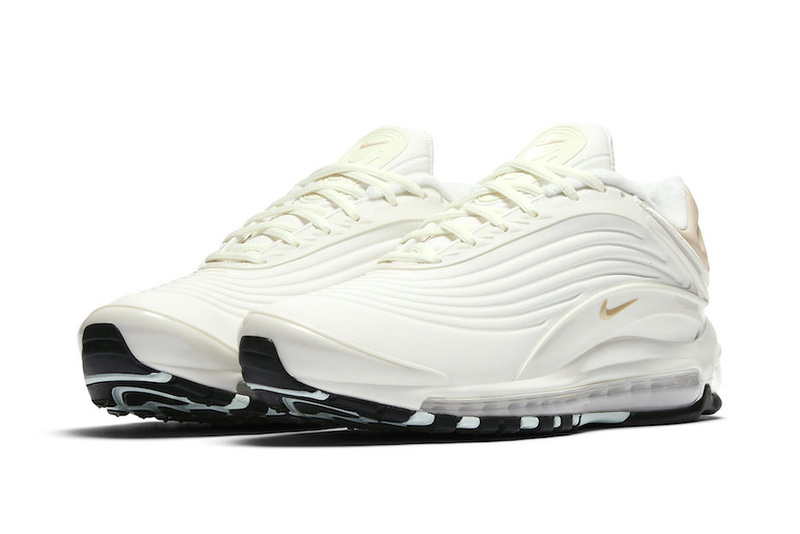 Celebrating its 20th anniversary this year, the latest Air Max Deluxe iteration’s soundwave-like upper is dressed in “Sail” while hits of “Desert Ore” can be found on the heel and mini Swoosh branding showcased on the lateral sides. Finally a white midsole housing a signature Air Unit and black outsole finishes off the look of this creamy option. Look for the Nike Air Max Deluxe in “Sail” and “Desert Ore” to arrive in the upcoming weeks at select Nike retailers and Nike.com for $180 USD. For more footwear releases, MLB plasters its favorite clubs onto chunky sneakers. Including Louis Vuitton’s new ‘Fashion Eye’ book series.